Although President Barack Obama said he opposes “endless war” and “America’s combat mission in Afghanistan may be over,” he announced that the 9,800 US troops presently there will remain. Obama had previously stated that he would cut the US force in half, but he has decided to maintain the current troop level until 2017. Seventy years after the founding of the United Nations, armed conflict, especially US wars that violate the UN Charter, continues to plague the world. In 1945, the UN Charter was created “to save succeeding generations from the scourge of war.” It forbids the use of military force except in self-defense after an armed attack by another state or when approved by the Security Council. Yet the three most recent US presidents have violated that command. In October 2001, George W. Bush led the US to attack Afghanistan, even though Afghanistan had not attacked the United States on 9/11. Nineteen men, 15 of whom came from Saudi Arabia, committed a crime against humanity. Bush’s invasion of Afghanistan did not constitute lawful self-defense and the Security Council did not approve the use of force. The US war on Afghanistan has replaced Vietnam as America’s longest war. Two years later, before he invaded Iraq and changed its regime, Bush tried mightily to secure the imprimatur of the Security Council. Although the council refused to authorize “Operation Iraqi Freedom,” Bush cobbled together prior Security Council resolutions from the first Gulf War in an attempt to legitimize his illegitimate war. Bush’s war on Iraq was a disastrous gift that keeps on giving. It has resulted in hundreds of thousands of deaths, led to the rise of ISIS, and dangerously destabilized the region. Barack Obama and his counterparts in France and Britain secured a resolution from the Security Council approving a no-fly-zone over Libya in 2011. But the three powers engaged in forcible regime change, ousting Libyan president Muammar Qaddafi. This went far beyond what the resolution authorized. That action has also contributed mightily to the current instability in the region. But the United States and its allies have not utilized the Responsibility to Protect doctrine to protect the people of Gaza from massacres by Israel, most recently in the summer of 2014. The objective of the victorious powers of World War II in creating the UN system was to make sure they would continue to control post-war international relations. The League of Nations, which the US had refused to join, had failed to prevent fascism and the Second World War. In 1942, the United States, the Soviet Union, Britain, and China – four of the permanent members of the Security Council (later joined by France) – had met at Dumbarton Oaks, near Washington DC. They hammered out the framework for the UN. A few months before the founding UN conference, the US, Britain and the Soviet Union met at Yalta in the Crimea and made important decisions about the post-war world, including the structure of the UN. The United States made certain that the founding conference would be held on US soil, and it took place in San Francisco. In order to ensure that the US choreographed the meeting, the FBI spied on foreign emissaries and even on the US delegates themselves. 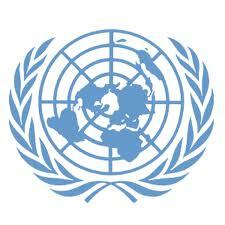 The Security Council has 15 members – five permanent members and 10 non-permanent members. The Soviet Union wanted the permanent members to have veto power over all decisions of the Security Council, which would have allowed them to prevent discussion about the peaceful settlement of disputes in which they were involved. A compromise was reached that gives the permanent members a veto only over “substantive” matters; the peaceful settlement of disputes is considered a “procedural” matter. Smaller countries, including Chile, Costa Rica, Cuba, Switzerland, Italy and the Vatican felt the proposed voting structure was not consistent with the sovereign equality of states and would place the permanent members above the law. Interestingly, the word “veto” does not appear in the UN Charter. Article 27 says that decisions on procedural matters “shall be made by an affirmative vote of nine members including the concurring votes of the permanent members.” One permanent member can therefore exercise veto power by withholding a concurring vote. The US, Great Britain, the Soviet Union and China, as the sponsoring powers of the conference, issued formal invitations. Fifty countries, primarily from the industrialized North, were represented at San Francisco. They comprised fewer than one-quarter of the countries of the world. About 35 were aligned with the US, five were allied with the Soviet Union, and 10 were non-aligned. At the time, most of the developing countries were colonies or semi-colonies. During the conference, conflicts erupted between the big powers and countries in the South. The Latin American contingent was made up of 19 countries that had been non-belligerents during the War. But since they had declared war on the Axis countries by the deadline, they were allowed to join the UN. President Franklin D. Roosevelt (FDR) had a warm relationship with Latin America, stemming from his Good Neighbor Policy in the 1930’s. It provided for non-intervention and non-interference in the domestic affairs of the countries of Latin America. In return, the United States expected sweet trade agreements and the reassertion of US influence in the region. FDR died 13 days before the San Francisco conference, leaving Harry Truman to represent the US in negotiations over the UN Charter. Although the Latin American countries proposed the inclusion of Brazil as the sixth permanent Security Council member, the US successfully prevented it. The Latin bloc sought to establish its own regional security system apart from the UN. The Act of Chapultepec, which was developed at a prior Inter-American conference in Mexico City, said that an attack on one state in the region was an attack on all, which would result in immediate collective consultation and possible military action. Objecting to a provision in the UN Charter that would give the permanent members the power to veto any action by a regional organization, the Latin countries advocated the principles of Chapultepec. The final draft of Article 51 of the UN Charter protects “the inherent right of individual or collective self-defense.” In deference to the Latin bloc, “collective” is a reference to Chapultepec. The original proposal stated that international law would determine what is “solely within the domestic jurisdiction” of a state. When the US Congress demanded that the words “international law” be removed, they were deleted. Since then, not surprisingly, the United States has repeatedly violated international law in both the use of armed force and the killing of civilians, most recently in Obama’s drone war. The UN Charter established the International Court of Justice, or the World Court, as the judicial arm of the UN system. Would states have to submit to its jurisdiction? Truman said that if “we are going to have a court, it ought to be a court that would work with compulsory jurisdiction.” But after Secretary of State Edward Stettinius convinced Truman that the US Senate would never ratify an International Court of Justice statute with that provision, Truman relented. The court only has contentious jurisdiction over states that consent to its jurisdiction. Indeed, when the International Court of Justice ruled in 1986 that the US had violated international law by mining Nicaragua’s harbors and supporting the Contras in their insurrection against the Nicaraguan government, the US thumbed its nose at the court, saying it was not bound by the ruling. For 45 years during the Cold War, the veto power paralyzed the Security Council. But after the dissolution of the Soviet Union in 1991, the veto ironically turned the Security Council into a countervailing power to the US, as the council is the only international body that can legitimately authorize the use of military force. And as stated above, Clinton, Bush, and Obama have circumvented or manipulated the Security Council, in violation of the UN Charter. The United Nations has succeeded in some instances in slowing down an immediate resort to military force, although it has failed to broker a solution to the Israeli-Palestinian conflict or develop a treaty to outlaw nuclear weapons. Nevertheless, the US government feels compelled to try to obtain the Security Council’s blessing for its military interventions. And although the US often uses armed force without Security Council approval, it is increasingly apparent to the countries of the world that the United States is a notorious lawbreaker.